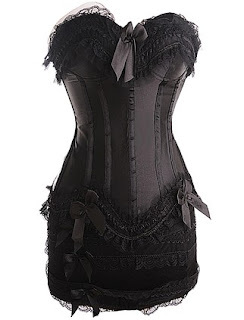 3 Piece corset set features frills and satin bows trim. Hook and eye fastening at side and lace up back for easy fit and adjustment. Includes skirt and thong.